For farmers and those in the agricultural business, there are a number of different kinds of sheds and units that are necessary to run all of your operations. One would be a shearing shed for the production of wool from sheep. If your farm does this, you may be looking to get a new shed soon to increase productivity. 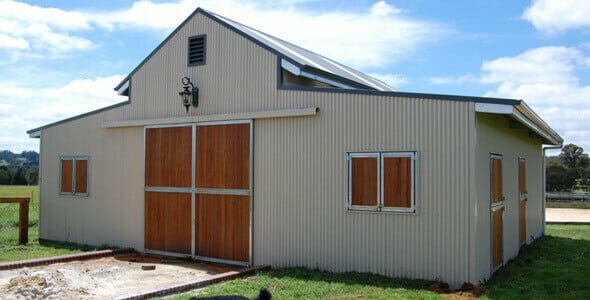 The first thing you need to ask yourself is whether you plan on renovating the shed that you currently have or build a new one to take its place. Doing the former might be better from a budgetary standpoint because you could stagger out the costs of renovation over a longer period of time. However, depending on how many renovations you plan on executing, it might be cheaper to build a completely new shed. New sheds also have other advantages, such as being sturdier because they are made from newer materials. When you build a new shed, you can also design it exactly the way you want it, cutting down on time and relative effort. Whatever your decision is, you want to make sure that your new or improved shed meets all of your goals for making it better. Increasing productivity should certainly be one of these and you also might want to make the shed more comfortable for the animals. Designing the shed to be a little bit larger would give both parties more room to manoeuvre and get the job done. Better ramps, pens, stands, chutes and gates are also all good additions to include within the shed. Different farms around Perth use different kinds of sheds for storing hay, housing machinery and performing productive activities. Shearing sheds are used by farmers who are interested in wool production. If you are one of them, then you should consider several things when building such shed. This is a good idea for increasing productivity and making life better for the animals. To learn more about how we can help build the perfect shed for you and your farm, please call 1300 778 628.